Costs – Here are the average costs of tree removal, maintenance and stump removal for the US Capitol, Washington, D.C.
FAQs – While the District of Columbia is home to many different trees, there are rules and common diseases to be aware of as well. Services – Many arborists care for the local trees in the D.C. area. Hire one today! How Much Do Tree Services Cost in Washington, D.C.? Washington, D.C.’s beautiful architecture and historical buildings are punctuated by landscaping that is both understated and dynamic at the same time. Homeowners in Washington, D.C. enjoy an array of trees that grow large and lush in this environment, and most trees need regular maintenance. There are times when trees have to be removed for a variety of reasons such as disease or for new landscaping. In Washington, D.C., the cost for these services can range between $225 and $1,400, but most homeowners spend somewhere between $585 and $820. Homeowners can dispose of tree stumps in two ways. They can choose to remove the stump completely or grind it to the ground. Grinding a tree stump is straightforward and considerably cheaper, between $80 and $140 for most Washington, D.C. residents. Stump removal requires involvement with the underground root system and can affect other trees around it. This service will cost around $350 or $400 on average. Average Cost of Tree Maintenance in Washington, D.C. There are many tree care companies that service the area to keep trees pruned and growing healthily. Whether to keep a fruit tree attractive or to trim branches that may threaten power lines, general tree services in Washington, D.C. will cost anywhere from $150 to $705 depending on the property. Gardening is a very popular pastime for people of all ages throughout the United States. Washington, D.C. is no different. Homeowners take pride in crafting their lawn spaces and trees to beautify their homes and create a respite from the daily hustle and bustle. 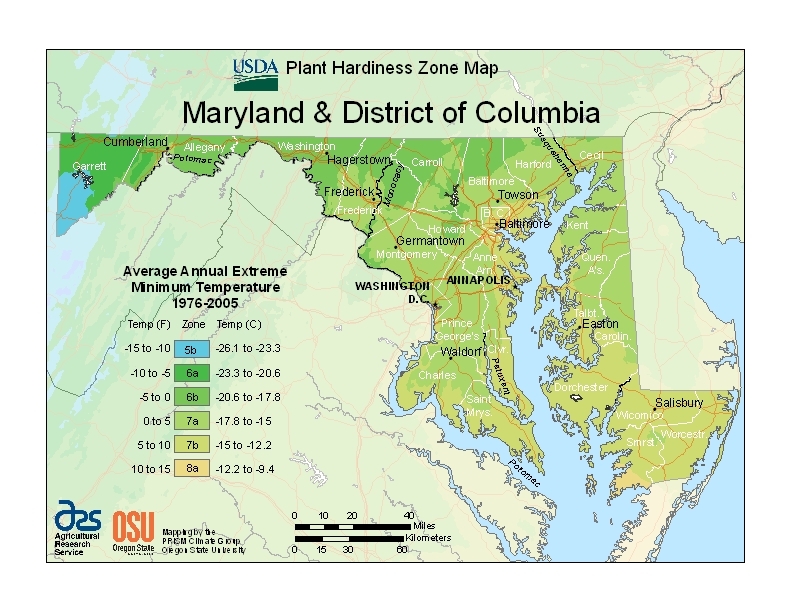 Here are some facts and tips that the interested gardener in Washington, D.C. might find useful. Washington, D.C. regulations regarding tree maintenance within the city include that property owners must have a permit to prune or remove any street tree the sits between a sidewalk and a curb. A permit is also required to remove any tree on private property in that is bigger than 55 inches in circumference. Homeowners are responsible for managing their own property up to the curb, and no trees except low-growing shrubs should be planted within 15 feet of a power line or utility wire. Dominion Power provides a list of acceptable shrubs to plant under power lines. Planting and caring for trees does much for the beauty of your home and the health of the environment. September is a great time to plant a tree in Washington, D.C. Pruning and trimming large trees should only be done from mid-winter to early spring. Poorly timed trimming stimulates a growth spurt that could interfere with the tree’s dormant period and make it very vulnerable to injury over the winter. Did you know that Washington, D.C.’s National Mall has 17,000 trees? In fact, there are just under 2 million trees across the city. Washington, D.C. is home to the nation’s first urban park, Rock Creek Park, and nearly 19 percent of local land is designated as a park. The city is involved with several green initiatives such as natural resource restoration, green jobs training, protection of open spaces and urban forest planning for natural events like flooding and erosion. Trees contribute a lot toward cleaning up the environment. In Washington, D.C., the prevalence of trees in the area contributes to 540 tons of pollution being removed from the air every year and 26,000 tons of carbon being stored annually. The state tree for Washington, D.C. is the scarlet oak, a fast-growing tree with lush green leaves that turn scarlet as the season changes. This tree provides a lot of shade in summer, which is perfect for the picnicker in D.C. interested in reading a good book on a sunny afternoon. Other popular trees in Washington, D.C. include the famed cherry blossoms, which were sent as a gift from Japan in 1912. The trees continue to draw huge crowds to Washington, D.C. every year when they bloom in early spring due to their beautiful white and pink flowers. Two trees that thrive well in the local climate and can be found all over the area are the black oak and the southern magnolia. 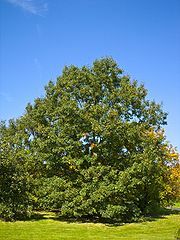 The black oak tree, Quercus velutina, offers much nutritional value to the wildlife in the surrounding area and is one of the tallest trees in the area at a height of up to 80 feet. The southern magnolia tree, Magnolia grandiflora or the bull bay tree, produces glossy, robust leaves. Many people grow fruit trees in Washington, D.C. as part of a movement toward “eating your own landscape” afoot in the nation’s capital. Red mulberry, Asian pear and peach trees have been known to do well in the area, though peach trees take maintenance to keep healthy through cold winters. More fragile species of fruit trees are the most difficult to maintain without professional help. Fruit trees are some of the shortest trees in the city, often reaching no more then 10 or 15 feet in height. Armillaria root rot: This parasite looks like a stringy substance that sits on the infected area. It can live on a host plant for long periods of time undetected. Armillaria Root Rot will also infect healthy trees through underground contact of the roots. Powdery mildew: This is a common disease that appears as a white powdery substance on the face of the leaf. The powdery appearance comes from millions of tiny fungal spores. Fungal cankers: Fungal cankers are parts of the bark that are dead. Cankers can be found all over the tree, on twigs, branches or even on the trunk. This type of disease is very common in the city’s urban forest. Anthracnose: This disease is evidenced by dead areas or blotches appearing on the leaves of the infected tree. Keeping periodic contact with a professional is always the best policy when monitoring the health of your trees and shrubs. Local Tree Services in Washington, D.C.